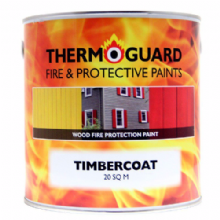 Thermoguard Flame Retardant Gloss is part of a range of decorative flame retardant paint finishes for use over Thermoguard Wallcoat, Timbercoat & Thermocoat to protect, decorate and complete these fire protection upgrading systems. 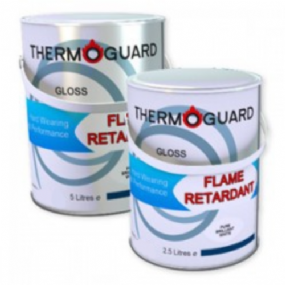 Thermoguard Flame Retardant Gloss assists in the control of fire hazards caused by combustible materials such as wood and paint in buildings by releasing a flame extinguishing gas upon contact with fire. 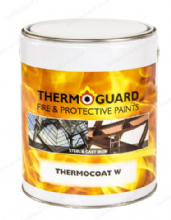 Thermoguard Flame Retardant Gloss is suitable for use direct to bare or sound previously painted non-combustible substrates where the upgrading properties of Wallcoat are not required. BS476 Part 7; Class 1 surface spread to flame. BS476 Part 6; Fire propagation. 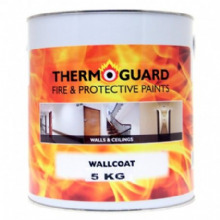 Designated Class 0 in accordance with U.K. Building Regulations.